Todos los contenidos del portal incluyendo, a título enunciativo y sin carácter limitativo, fotografías, imágenes, dibujos, archivos de texto, audio, vídeo y software, nombres, nombres comerciales marcas, logos son propiedad de sus respectivos dueños. 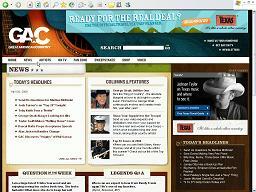 Visit CMT.com for the latest Country Music News and Videos on your favorite Artists. Get CMT's television schedule and watch your favorite show. Concise illustrated articles trace the style from the beginnings in Tennessee in the 1920s to the post-1990 new traditionalists. Collection of historical costumes, memorabilia, instruments, photographs, manuscripts and other objects tell the story of country music.